Watercolor & ink on 14x17 watercolor paper. 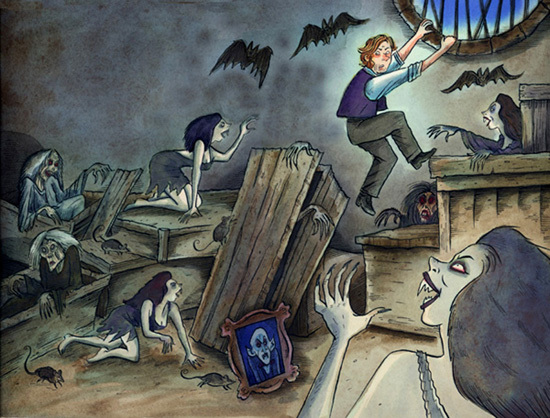 Art for the 12th spread from the Steve Niles authored DRACULA book. The image has been cropped slightly. Art will be neatly signed on bottom left.